Join our Xpres Wash Club and get Unlimited Supreme Express Tunnel Washes! for only $39.95 per month! Offering two locations for your convenience. 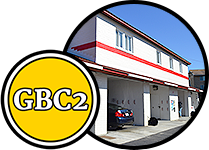 Glen Burnie Car Wash and Glen Burnie Car Wash 2 provide the largest selection of car wash options in the area. Holsum Way location has (6) Self-Serve Bays, (2) Touch-Free Automatics and the Express Tunnel. 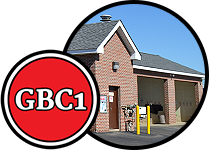 Crain Highway location has (5) Self-Serve Bays, (2) Touch-Fee Automatics and (2) Dog Wash rooms. Hours: Open 24 hours a day, 365 days a year, weather permitting. *Express Tunnel open Monday-Saturday 8 a.m.-8 p.m., Sunday 8 a.m.-5 p.m.
*Dog Wash open daily from 7 a.m.-10 p.m.
Large variety of vending products available including; cold drinks, drying towels, air fresheners and detailing products. Discounted tokens for the Automatic Wash are also available. Cash and credit cards accepted. 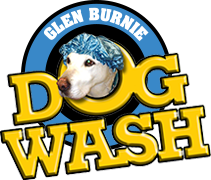 Sign up for our Glen Burnie Club—$39.95 for unlimited monthly Supreme automatic washes! Join our Xpres Wash Club and receive Unlimited Supreme Express Tunnel Washes for only $39.95 per month! © Copyright 2019 Glen Burnie Car Wash. All rights reserved.